Looking to drive luxury for less around Fairfield, Vallejo, and Napa? 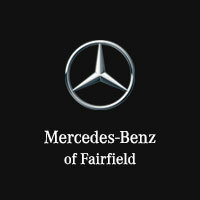 Check out the Mercedes-Benz of Fairfield used cars specials. By taking advantage of our pre-owned vehicle specials, you’re adding a discount on top of a used vehicle’s affordability. To top things off, we offer objective trade-in valuations, so you’re sure to get every cent your old war is worth for cash or credit towards your next purchase. When you shop Mercedes-Benz of Fairfield, saving is easy. CARFAX One-Owner. Clean CARFAX. Certified. Black 2016 Mercedes-Benz GLC 18" 5-Spoke Alloy Wheels, Blind Spot Assist, Burmester Surround Sound System, Heated Front Seats, Multimedia Package/Navigation, Panorama Sunroof, Premium Package 1. 21/28 City/Highway MPG Mercedes-Benz Certified Pre-Owned Details: * 165 Point Inspection * Includes Trip Interruption Reimbursement and 7 days/500 miles Exchange Privilege * Limited Warranty: 12 Month/Unlimited Mile beginning after new car warranty expires or from certified purchase date * Roadside Assistance * Vehicle History * Transferable Warranty * Warranty Deductible: $0 Awards: * JD Power Vehicle Dependability Study Reviews: * Elegant interior and exterior design; excellent balance of performance and comfort; abundant safety equipment even for this segment; generous, family-friendly backseat space; fuel-efficient turbocharged engine. Source: Edmunds * Broad range of engine choices; quiet, upscale and well-built interior with a roomy backseat; long list of standard safety and technology features. Source: EdmundsCARFAX One-Owner. Clean CARFAX. Certified. Black 2016 Mercedes-Benz GLC 18" 5-Spoke Alloy Wheels, Blind Spot Assist, Burmester Surround Sound System, Heated Front Seats, Multimedia Package/Navigation, Panorama Sunroof, Premium Package 1. Clean CARFAX. Lunar Blue Metallic 2018 Mercedes-Benz GLA 18" 5-Spoke Aluminum Wheels, Full LED Headlamps, harman/kardon® Premium Sound System, LED Logo Projector, Panorama Sunroof, Premium Package 1, Smartphone Integration, Smartphone Integration. Recent Arrival! 23/31 City/Highway MPG Awards: * JD Power Initial Quality Study (IQS)Clean CARFAX. Lunar Blue Metallic 2018 Mercedes-Benz GLA 18" 5-Spoke Aluminum Wheels, Full LED Headlamps, harman/kardon® Premium Sound System, LED Logo Projector, Panorama Sunroof, Premium Package 1, Smartphone Integration, Smartphone Integration. CARFAX One-Owner. Clean CARFAX. Certified. Night Black 2018 Mercedes-Benz GLA 18" 5-Spoke Aluminum Wheels, Heated Front Seats, Panorama Sunroof, Premium Package 1, Smartphone Integration. Recent Arrival! 23/31 City/Highway MPG Mercedes-Benz Certified Pre-Owned Details: * Vehicle History * Limited Warranty: 12 Month/Unlimited Mile beginning after new car warranty expires or from certified purchase date * Includes Trip Interruption Reimbursement and 7 days/500 miles Exchange Privilege * Roadside Assistance * Transferable Warranty * Warranty Deductible: $0 * 165 Point Inspection Awards: * JD Power Initial Quality Study (IQS)CARFAX One-Owner. Clean CARFAX. Certified. Night Black 2018 Mercedes-Benz GLA 18" 5-Spoke Aluminum Wheels, Heated Front Seats, Panorama Sunroof, Premium Package 1, Smartphone Integration. CARFAX One-Owner. Clean CARFAX. Certified. Night Black 2018 Mercedes-Benz GLA Android Auto, Apple CarPlay, Blind Spot Assist, HANDS-FREE ACCESS, Heated Front Seats, KEYLESS GO®, LED Logo Projector, Panorama Sunroof, Premium Package, SIRIUSXM Satellite Radio, Smartphone Integration, Smartphone Integration (14U). Recent Arrival! 23/31 City/Highway MPG Mercedes-Benz Certified Pre-Owned Details: * Includes Trip Interruption Reimbursement and 7 days/500 miles Exchange Privilege * Vehicle History * Warranty Deductible: $0 * Limited Warranty: 12 Month/Unlimited Mile beginning after new car warranty expires or from certified purchase date * 165 Point Inspection * Roadside Assistance * Transferable Warranty Awards: * JD Power Initial Quality Study (IQS)CARFAX One-Owner. Clean CARFAX. Certified. Night Black 2018 Mercedes-Benz GLA Android Auto, Apple CarPlay, Blind Spot Assist, HANDS-FREE ACCESS, Heated Front Seats, KEYLESS GO®, LED Logo Projector, Panorama Sunroof, Premium Package, SIRIUSXM Satellite Radio, Smartphone Integration, Smartphone Integration (14U). CARFAX One-Owner. Clean CARFAX. Certified. Selenite Gray Metallic 2018 Mercedes-Benz GLC 18" 5-Spoke Wheels, Heated Front Seats, Premium Package 1, Smartphone Integration. Recent Arrival! 21/28 City/Highway MPG Mercedes-Benz Certified Pre-Owned Details: * Warranty Deductible: $0 * Limited Warranty: 12 Month/Unlimited Mile beginning after new car warranty expires or from certified purchase date * Includes Trip Interruption Reimbursement and 7 days/500 miles Exchange Privilege * Roadside Assistance * Vehicle History * Transferable Warranty * 165 Point InspectionCARFAX One-Owner. Clean CARFAX. Certified. Selenite Gray Metallic 2018 Mercedes-Benz GLC 18" 5-Spoke Wheels, Heated Front Seats, Premium Package 1, Smartphone Integration. CARFAX One-Owner. Clean CARFAX. Certified. designo Cardinal Red Metallic 2018 Mercedes-Benz GLC Heated Front Seats, LED Logo Projector, Panorama Roof, Premium Package 1, Smartphone Integration, Wheels: 18" 5-Spoke (R31). Recent Arrival! 21/28 City/Highway MPG Mercedes-Benz Certified Pre-Owned Details: * Warranty Deductible: $0 * Includes Trip Interruption Reimbursement and 7 days/500 miles Exchange Privilege * Transferable Warranty * Vehicle History * Roadside Assistance * 165 Point Inspection * Limited Warranty: 12 Month/Unlimited Mile beginning after new car warranty expires or from certified purchase dateCARFAX One-Owner. Clean CARFAX. Certified. designo Cardinal Red Metallic 2018 Mercedes-Benz GLC Heated Front Seats, LED Logo Projector, Panorama Roof, Premium Package 1, Smartphone Integration, Wheels: 18" 5-Spoke (R31). Clean CARFAX. Mountain Gray Metallic 2018 Mercedes-Benz GLA Android Auto, Apple CarPlay, COMAND® System w/Hard Drive Navigation, Multimedia Package, Navigation Map Updates Included For 3 Years, Panorama Sunroof, Premium Package 1, Single CD/DVD Player, Smartphone Integration, Smartphone Integration (14U). 23/31 City/Highway MPG Awards: * JD Power Initial Quality Study (IQS)Clean CARFAX. Mountain Gray Metallic 2018 Mercedes-Benz GLA Android Auto, Apple CarPlay, COMAND® System w/Hard Drive Navigation, Multimedia Package, Navigation Map Updates Included For 3 Years, Panorama Sunroof, Premium Package 1, Single CD/DVD Player, Smartphone Integration, Smartphone Integration (14U). CARFAX One-Owner. Clean CARFAX. Certified. Iridium Silver Metallic 2016 Mercedes-Benz GL-Class Black w/MB-Tex Upholstery, Blind Spot Assist, Lane Keeping Assist, Lane Keeping Assist Package, Lane Tracking Package, Parking Assist Package, Parking Assist Package (P44), PARKTRONIC w/Active Parking Assist, Premium Package 1, Surround View System. Recent Arrival! Odometer is 1608 miles below market average! Mercedes-Benz Certified Pre-Owned Details: * 165 Point Inspection * Includes Trip Interruption Reimbursement and 7 days/500 miles Exchange Privilege * Roadside Assistance * Transferable Warranty * Vehicle History * Limited Warranty: 12 Month/Unlimited Mile beginning after new car warranty expires or from certified purchase date * Warranty Deductible: $0 Reviews: * Room for seven adults; authoritative power; available fuel-efficient diesel V6; classy and quiet interior; strong brakes. Source: Edmunds * Broad range of engine choices; quiet, upscale and well-built interior with a roomy backseat; long list of standard safety and technology features. Source: EdmundsCARFAX One-Owner. Clean CARFAX. Certified. Iridium Silver Metallic 2016 Mercedes-Benz GL-Class Black w/MB-Tex Upholstery, Blind Spot Assist, Lane Keeping Assist, Lane Keeping Assist Package, Lane Tracking Package, Parking Assist Package, Parking Assist Package (P44), PARKTRONIC w/Active Parking Assist, Premium Package 1, Surround View System. Recent Arrival! Odometer is 1608 miles below market average! CARFAX One-Owner. Mars Red 2017 Mercedes-Benz E-Class Active Blind Spot Assist, Active Lane Keeping Assist, Adaptive Highbeam Assist, Apple CarPlay, DISTRONIC PLUS® w/Steering Assist, DISTRONIC PLUS®® w/Pre-Safe Brake, harman/kardon®® Logic 7® Surround Sound System, KEYLESS GO®, Mirror Package, Parking Assist Package (P44), Parking Pilot w/Advanced Parking Assist, Power Folding Mirrors, Power Rear-Window Shade, Premium 3 Package, PRESAFE® Brake, PRESAFE® PLUS, Radio: COMAND® Navigation w/DVD Player, SiriusXM Satellite Radio, Smartphone Integration, Sport Package, Surround View Camera System. 18/26 City/Highway MPG Reviews: * Exquisite cabin that sets new standards for design and comfort; available semi-autonomous driver assistance technology; vast array of personalization options. Source: Edmunds * Incredibly smooth and powerful base four-cylinder engine; exquisite cabin that sets new standards for design and comfort; available semi-autonomous driver assistance technology; vast array of personalization options. Source: Edmunds * Balance of comfort and performance makes it an appealing daily driver; solid fuel efficiency from the standard four-cylinder engine; plenty of room for adult-sized passengers in back; a long list of advanced safety features are available; elegant design inside and out gives it a true luxury appearance. Source: EdmundsCARFAX One-Owner. Mars Red 2017 Mercedes-Benz E-Class Active Blind Spot Assist, Active Lane Keeping Assist, Adaptive Highbeam Assist, Apple CarPlay, DISTRONIC PLUS® w/Steering Assist, DISTRONIC PLUS®® w/Pre-Safe Brake, harman/kardon®® Logic 7® Surround Sound System, KEYLESS GO®, Mirror Package, Parking Assist Package (P44), Parking Pilot w/Advanced Parking Assist, Power Folding Mirrors, Power Rear-Window Shade, Premium 3 Package, PRESAFE® Brake, PRESAFE® PLUS, Radio: COMAND® Navigation w/DVD Player, SiriusXM Satellite Radio, Smartphone Integration, Sport Package, Surround View Camera System. Selenite Gray Metallic 2018 Mercedes-Benz C-Class Active LED Headlamps, Adaptive Highbeam Assist, Advanced Lighting Package, AIRCAP, Ambient Lighting, AMG Line, AMG Line Exterior, AMG Line Interior, AMG® Body Styling, Black Fabric Headliner, Burmester Surround Sound System, Cabrio Comfort Package, COMAND Navigation, COMAND Single CD/DVD, Diamond Grille in Chrome, Illuminated Door Sills, Illuminated Star, Map Updates for 3 Years, Multimedia Package, Power Folding Mirrors, Premium Package, Semi-Automatic Trunk Separator, SiriusXM Satellite Radio, Sport Suspension, Wheels: 19" AMG® Multi-Spoke. 22/29 City/Highway MPGSelenite Gray Metallic 2018 Mercedes-Benz C-Class Active LED Headlamps, Adaptive Highbeam Assist, Advanced Lighting Package, AIRCAP, Ambient Lighting, AMG Line, AMG Line Exterior, AMG Line Interior, AMG® Body Styling, Black Fabric Headliner, Burmester Surround Sound System, Cabrio Comfort Package, COMAND Navigation, COMAND Single CD/DVD, Diamond Grille in Chrome, Illuminated Door Sills, Illuminated Star, Map Updates for 3 Years, Multimedia Package, Power Folding Mirrors, Premium Package, Semi-Automatic Trunk Separator, SiriusXM Satellite Radio, Sport Suspension, Wheels: 19" AMG® Multi-Spoke. Polar White 2018 Mercedes-Benz GLE 4MATIC® 19" 5-Spoke Wheels, Android Auto, Apple CarPlay, harman/kardon®® Logic 7® Surround Sound System, KEYLESS GO®, Premium Package 1. Recent Arrival!Polar White 2018 Mercedes-Benz GLE 4MATIC® 19" 5-Spoke Wheels, Android Auto, Apple CarPlay, harman/kardon®® Logic 7® Surround Sound System, KEYLESS GO®, Premium Package 1. Clean CARFAX. Cosmos Black Metallic 2018 Mercedes-Benz GLA 2018 Mercedes-Benz GLA GLA 45 AMG® in Cosmos Black Metallic, AMG® Dynamic Plus Package, AMG® Gloss Black Rear Spoiler, AMG® Limited-Slip Front Differential, AMG® Night Package, AMG® Night Package (521), AMG® RIDE CONTROL Sport Suspension, AMG® Aerodynamics Package, Increased Top Speed to 167 MPH, Panorama Sunroof, Premium Package 1, Roof Rails w/Gloss Black Finish. 22/28 City/Highway MPG Awards: * JD Power Initial Quality Study (IQS)Clean CARFAX. Cosmos Black Metallic 2018 Mercedes-Benz GLA 2018 Mercedes-Benz GLA GLA 45 AMG® in Cosmos Black Metallic, AMG® Dynamic Plus Package, AMG® Gloss Black Rear Spoiler, AMG® Limited-Slip Front Differential, AMG® Night Package, AMG® Night Package (521), AMG® RIDE CONTROL Sport Suspension, AMG® Aerodynamics Package, Increased Top Speed to 167 MPH, Panorama Sunroof, Premium Package 1, Roof Rails w/Gloss Black Finish. Black 2018 Mercedes-Benz E-Class RWD 18" 5-Spoke Alloy Wheels, Active Parking Pilot, Black SoftTop, Blind Spot Assist, Burmester Surround Sound System, Gray Headliner, HANDS-FREE ACCESS, Heated and Active Ventilated Front Seats, Inductive Wireless Charging w/NFC Pairing, KEYLESS GO®, Premium 1 Package, SiriusXM Satellite Radio. 26/20 Highway/City MPGBlack 2018 Mercedes-Benz E-Class RWD 18" 5-Spoke Alloy Wheels, Active Parking Pilot, Black SoftTop, Blind Spot Assist, Burmester Surround Sound System, Gray Headliner, HANDS-FREE ACCESS, Heated and Active Ventilated Front Seats, Inductive Wireless Charging w/NFC Pairing, KEYLESS GO®, Premium 1 Package, SiriusXM Satellite Radio. Polar White 2018 Mercedes-Benz E-Class Active Parking Pilot, AMG® Bodystyling, AMG® Line, AMG® Line Interior, AMG® Line Exterior, Black Headliner, Blind Spot Assist, Burmester Surround Sound System, designo® Floor Mats, HANDS-FREE ACCESS, Heated Armrests, Heated Steering Wheel, Inductive Wireless Charging w/NFC Pairing, KEYLESS GO®, Premium 1 Package, Rapid Heating Functionality for Front Seats, SiriusXM Satellite Radio, Warmth & Comfort Package. 20/26 City/Highway MPGPolar White 2018 Mercedes-Benz E-Class Active Parking Pilot, AMG® Bodystyling, AMG® Line, AMG® Line Interior, AMG® Line Exterior, Black Headliner, Blind Spot Assist, Burmester Surround Sound System, designo® Floor Mats, HANDS-FREE ACCESS, Heated Armrests, Heated Steering Wheel, Inductive Wireless Charging w/NFC Pairing, KEYLESS GO®, Premium 1 Package, Rapid Heating Functionality for Front Seats, SiriusXM Satellite Radio, Warmth & Comfort Package. CARFAX One-Owner. Clean CARFAX. Certified. Obsidian Black Metallic 2016 Mercedes-Benz G-Class AMG® Carbon Fiber Trim. Recent Arrival! Mercedes-Benz Certified Pre-Owned Details: * Includes Trip Interruption Reimbursement and 7 days/500 miles Exchange Privilege * Roadside Assistance * Warranty Deductible: $0 * Vehicle History * Limited Warranty: 12 Month/Unlimited Mile beginning after new car warranty expires or from certified purchase date * 165 Point Inspection * Transferable Warranty Reviews: * Industrial styling stands out from the crowd; outstanding performance from any of the three available engines; strong turbocharged engines; go-anywhere capability; unmatched presence; luxuriously appointed cabin. Source: Edmunds * Broad range of engine choices; quiet, upscale and well-built interior with a roomy backseat; long list of standard safety and technology features. Source: EdmundsCARFAX One-Owner. Clean CARFAX. Certified. Obsidian Black Metallic 2016 Mercedes-Benz G-Class AMG® Carbon Fiber Trim. Interested in test-drive our used car deals? Simply give Mercedes-Benz of Fairfield a ring at (707) 430-0101, and we’ll set you up with some test-drives. You can also contact us online—we’ll get back to you promptly. Make use of our payment calculator while you’re at it to estimate monthly payments for vehicles that catch your eye.